The New Year of 2019 is approaching so it's time to look back at what Softvelum has accomplished. We've had an interesting year as you will find out below. 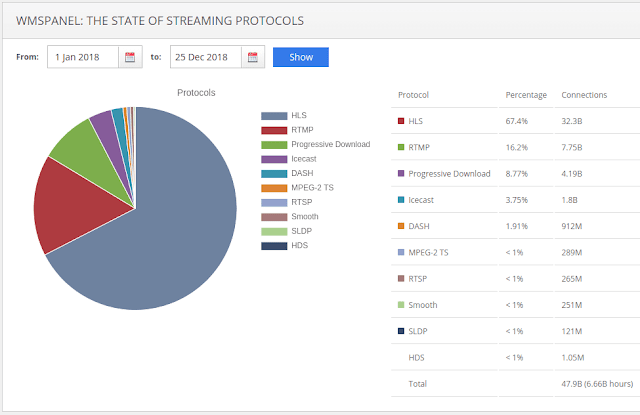 First, take a look at a few numbers in our State of Streaming Protocols for 2018, our customers stream more each year and we're excited to see continuous connections number growth. Tools for tailor-made streaming white paper describes what we do and who may benefit from our products. Jan Ozer published How to Create a Live HLS Feed With HEVC article describing an HLS fMP4/HEVC use case setup in Nimble Streamer, as our company was the first one to support that container/codec tandem among software media servers. This article is also a good sequel to his Nimble Streamer review article published in 2017. Speaking of streaming use cases, this year we started making series of "snapshots" to show how Softvelum products can be used for real-life streaming scenarios. As example, check first case study with mobile-to-mobile delivery chain or "power origin" approach to building CDN. Let us know if you'd like to see more scenarios covered like that. The biggest start of this year is Nimble Advertizer. It's a live streaming server-side ads insertion (SSAI) framework for Nimble Streamer media server. Mid-roll ads flexible timing setup. Per-stream ads insertion business logic. Personalized ads based on users' IDs. Advertizer supports HLS, RTMP, SLDP and Icecast protocols output. It supports both video+audio and audio-only modes. Advertizer may use all input live protocols supported by Nimble Streamer, which are RTMP, RTSP, SRT, UDT, HLS, MPEG2TS, Icecast and SHOUTcast. Nimble Streamer media server processes incoming streams to get the content. Nimble Advertizer calls your handler web application to get business logic description. Advertizer gets files with advertisements to process them via Nimble Streamer according to your logic defined via handler. Nimble inserts the ads into original media and packages it into output protocol. End user connects to Nimble and gets the stream containing original content mixed with advertisements. Playback is running smooth regardless of ads insertion over time in any player which supports the output protocol. You can read full technical spec for more information. Also Nimble Advertizer demo shows simple ad insertion scenarios for HLS/RTMP/SLDP/Icecast in action, with all setup details. Softvelum Low Delay Protocol was introduced in 2017 and this year it's been widely adopted among our customers as a replacement for RTMP low latency delivery. It's now gaining momentum since Adobe announced that it's going to decline Flash in 2020 which will cause elimination of Flash-based RTMP playback. Major browsers will also decline its usage in 2020 so those who need to have low latency real-time streaming, will have to choose other technologies. SLDP is a great replacement with its sub-second latency, buffer control, adaptive bitrate and multiple codecs support. Based on WebSockets, it allows playback on MSE-enabled browsers with our HTML5 player, as well as mobile playback on iOS and Android devices with our free apps. Early next year we'll introduce more details on transition from RTMP to SLDP for your ultra-low latency, so stay tuned for our blog and social networks. Meanwhile, CDNs start adding WebSockets support which allows SLDP delivery natively through their networks. Take a look at CloudFront WebSockets delivery setup with Nimble Streamer as example of such support. We've been improving SLDP protocol through this year to make it a great solution for RTMP playback replacement. Besides Advertizer and SLDP, Nimble Streamer also got a number of improvements. The aforementioned Jan Ozer article How to Create a Live HLS Feed With HEVC refers to fMP4 container support for live streaming. In addition to fMP4 support for live streams, Nimble now has VOD support for fMP4 HLS. So if your customers use latest iOS version, you could use that container for both live and VOD to optimize your distribution costs. Our customers have been requesting more features regarding end-users connections control. Nimble Streamer now supports sessions authorization via external handler to decide which of the connecting users may continue receiving the stream. Player connects to Nimble Streamer instance via any stream URL, then Nimble reaches the external handler which returns response to define further behavior of the server. This gives even bigger flexibility to paywall feature set which allows building monetization solution for your content. Nimble Streamer now has DVR thumbnails generation as JPG files and as single-frame MP4 files, this helps showing preview for any point in recorded stream. Our mobile solutions are being improved all the time following customers' feedback. 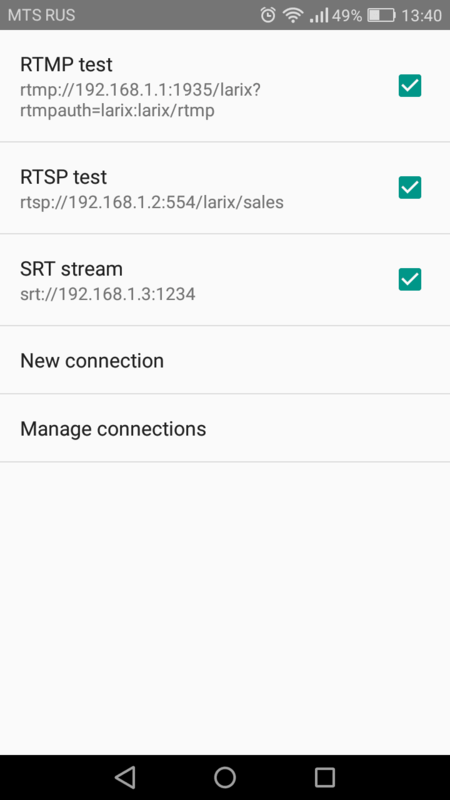 Larix mobile SDK now supports SRT streaming from Android and iOS devices. 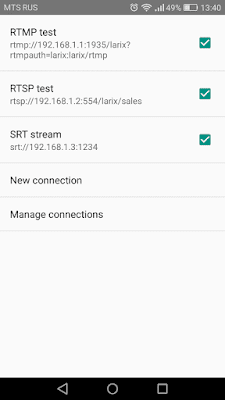 Nimble Streamer had SRT support for a couple of years so far, so adding that protocol to a mobile publishing SDK has been highly anticipated. Modern devices are getting support for HEVC (H.265) encoding, so Larix apps and SDKs have support for it as well. You'll need to use RTSP or SRT protocols as a transport for it, as RTMP has no HEVC support. Latest mobile devices also have high frame rate, e.g. 60fps, so Larix has that for both for iOS and Android on those devices which have that feature support. On Android phones you can now select fixed or variable frame rates, depending on current device capabilities - that's crucial for some transcoding solutions. 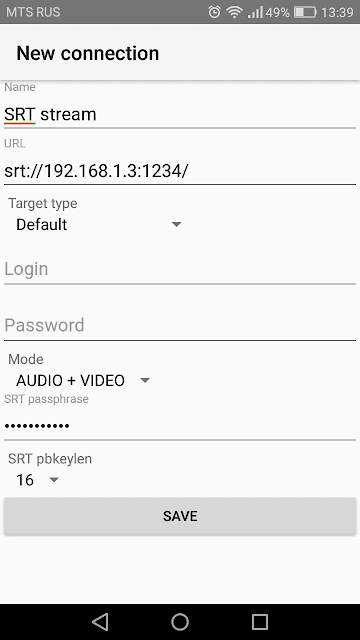 SLDP Player for Android and iOS now has Icecast support to give playback capabilities for numerous online radios. In case you use HTML5 browser player on iOS and have any issues, take a look at SLDP iOS Player fallback setup. Minor improvements and updates were continuously added to both products during entire year. We have a couple of new products to deliver for you next year, so stay tuned for updates and we'll continue providing the best possible improvements to help you grow your business. Softvelum team continues analyzing the state of streaming protocols. It's based on stats from WMSPanel reporting service which handles data from Wowza Streaming Engine and Nimble Streamer servers. In 2018, WMSPanel collected data about 48 billion views. We also added a new metric - total view time for our server products. It's nearly 6.7 billion hours. On average, there were 3600 to 3900 servers under WMSPanel observation at any moment of time. DVR feature set in Nimble Streamer covers the majority of use cases for streams recording and playback, its setup is described in this article. We've recently introduced MP4 snapshots of DVR stream which you may use directly via URL or certain kind. MP4 output was chosen over JPG images due to resources usage. MP4 frame can be extracted and inserted into MP4 container with relatively small amount of CPU and RAM. Thumbnails are generated as .mp4 files containing a single key frame. This allows inserting thumbnail in any modern browser using <video> element. When it comes to saving still image snapshots via JPG, it requires frame decoding and encoding into proper format. That's why you'll need Nimble Streamer Live Transcoder to be available at your DVR server. Nimble Streamer uses decoding and encoding libraries from Nimble Live Transcoder to get the image from the stream and then encode it into JPG. So to get his feature working, first you need to install Live Transcoder and subscribe for a license. Once you've installed Live Transcoder and registered the purchased license, you can enable this feature in DVR settings. Go to Nimble Streamer menu and click on Live streams settings. Once you open settings, go to DVR tab to see your DVR settings. To enable JPG thumbnails, open your stream DVR setting, click on Advanced settings and scroll to Generate JPEG thumbnails checkbox. Check that box to enable the feature and use Thumbnail width and Thumbnail height edit boxes to specify dimensions of images. If you leave them as 0, Nimble will save full-size images. If you specify exact values, they will be used for every thumbnail. Another option is to specify only one of those dimensions, in this case, the image will have both sides proportional to each other. E.g. if you set up Thumbnail height to 480 with width set to 0, this will produce thumbnails with 480 height and proportional width, whatever it is for the original image. 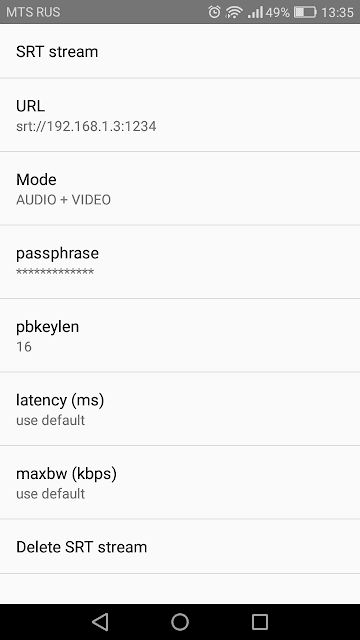 Once you start recording any stream via DVR with the feature enabled, it will generate a JPG thumbnail for every recorded segment, its length is defined during the DVR setup. A thumbnail will be a key frame picture at the start of the corresponding segment. Notice that thumbnail generation takes time depending on your hardware so for large resolutions it might take a few seconds. However small resolutions on powerful hardware will allow generating it within a split of a second. Now when DVR is working and pictures are generated continuously, you can get them using the followings URLs. E.g. http://serverip/live/stream/dvr_thumbnail_1542708934.jpg. In this case Nimble Streamer will return a key frame image at the start of the corresponding segment. If you see that your DVR thread is consuming too much resources, you can add working threads by using thumbnail_transmuxer_threads parameter. Read this article for more details about Nimble configuration. By default, this parameter's vaule is "1". You may also find useful the API call for DVR export to MP4. If you have any questions on this or other features, let us know. Nimble Streamer paywall features provide a lot of ways of controlling the end-user connection including hotlink protection and pay-per-view which give advanced capabilities but require to sign the stream playback URL on your web page. Other features like geo-location and IP-range block, User-Agent and Referrer fields block require to be pre-configured via WMSPanel. Player client software connects to Nimble Streamer instance via any stream URL. Nimble Streamer keeps the connection and reaches the external handler, sending all details of this new session. Handler returns response to define further behavior of Nimble Streamer. Code 200 response means the stream can be played by this client. Code 302 makes Nimble Streamer to redirect the client to a specified URL. Code 403 means that this user session is forbidden. The supported protocols are as follows. Live streaming: HLS, MPEG-DASH, SLDP, Icecast and MPEG-TS. VOD streaming: HLS, MPEG-DASH and Progressive download. Cache-aware re-streaming: HLS, MPEG-DASH, HDS, SmoothStreaming and Progressive download. Here's how you can use this. To enable this payback authentication feature, you need to click Control -> API setup top menu. Then you may either go to Global push API tab to define setting for all sever or to Servers push API tab to define per-server setting. 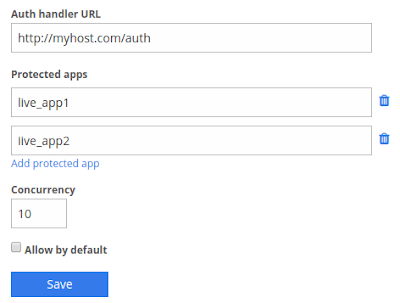 Opening either of those you can scroll down to Auth handler URL section. Auth handler URL field sets up the URL for your handler web application. Protected apps is a list of applications to be protected with the handler. You can add or remove apps using removal icon and "Add protected app" link. Concurrency defines a number of multiple requests to handler to perform at a time. Allow by default defines if clients should be allowed in case authorization handler becomes unavailable. Your handler needs to be a web application available via specified URL. You can see the meaning of most fields' from the line above. The session_type field value may be one of the following: "HLS", "DASH", "HDS", "SMOOTH", "PD", "ICECAST", "MPEGTS" and "SLDP". The handler needs to return a JSON with one of the following bodies. This means that current client may start receiving the stream in this session. This response body will make Nimble start streaming another stream instead of the one requested initially, i.e. this is a redirection. This is useful if you'd like to show some stub for un-authorized client or if a requested stream is not yet available. This response means this stream is forbidden for this particular client session. Moving forward we plan adding periodic calls for authorization handler during the streaming process in case your business logic requires more flexible control. Stay tuned for updates and let us know if you have any questions on this feature set. Nimble Streamer software media server has it DVR feature set which covers the majority of use cases for streams recording and playback. DVR setup is described in this article and you're probably already familiar with it. Now, to get snapshots of DVR stream, you may use direct URL described below. Notice that thumbnails are generated as .mp4 files containing a single keyframe. This allows inserting thumbnail in any modern browser using <video> element. If you'd like to generate JPG thumbnails, please read this article. MP4 output was chosen over PNG or JPG images due to resources usage. MP4 frame can be extracted and inserted into MP4 container with relatively small amount of CPU and RAM. Still image capture requires frame decoding and encoding into proper format which needs extra resources. Our customers like Nimble Streamer primarily because of its high performance and we'd like to keep it that way. You may also find useful the API call for DVR archive export to MP4. We're excited to announce our latest white paper published at Broadband TV News news web site. It's called Softvelum: Tools for tailor-made streaming and you can download it by filling out the form on its webpage. Let us know of your thoughts on this article, tell us what else you'd like to read about. Recently WMSPanel web service had 2 major malfunctions which affected our customers. This is the first time we had that kind of strong impact in years. We'd like to share more information about those issues. We creates WMSPanel failures status page which has description of recent malfunctions or incidents happened to our infrastructure. We'll keep updating it in case if anything else happens. We apologize for all inconveniences caused by the described malfunctions. As we described above, we made proper adjustments to our infrastructure to avoid various types of failures. Unfortunately, nothing is perfect so we know that our hosting infrastructure will give us some hard time going forward. However, we continuously mitigate those possibilities which gives us strong optimism for the future of our services. Softvelum team continues analyzing the state of streaming protocols. It's based on stats from WMSPanel reporting service which handles data from Wowza Streaming Engine and Nimble Streamer servers - there were 3600+ servers on average this quarter. WMSPanel collected data about more than 13 billion views. We've added a new metric - total view time for our server products. It's nearly 1.9 billion this quarter, or 21+ million view hours per day. You can see HLS share as 69% and RTMP at 17% while progressive download still going down. The voting for 2018 Streaming Media Readers' Choice Awards is now opened. Softvelum is nominated in 3 categories and we appreciate all of our customers and partners to vote for its products! First, go to voting page here and introduce yourself to Streaming Media website to start voting. This article describes all categories and the voting process. After voting closes on Monday, September 21, you will receive an email asking you to confirm your vote. If you do not confirm your vote, the vote will not be counted so please follow up with Streaming Media email to count your vote! Earlier this year Softvelum introduced Nimble Advertizer, the Server-Side Ads Insertion (SSAI) framework for Nimble Streamer. This framework allows dynamically insert personalized ads into live streaming content. Live input codec for live stream for ads insertion needs to be H.264. Notice that with our Live Transcoder you may also use other live codecs. For your ads source files you need to use H.264 codec, the container needs to be the MP4 file. The voting for Streaming Media European Readers' Choice Awards of 2018 is closed. Follow up with Streaming Media Readers' Choice Awards 2018 vote to help us win! In Softvelum, we are continuously improving our products and services to protect customers' data, so we've made several major updates in Q2 of 2018. Before reading further, check the State of Streaming Protocols for Q2 2018, we've added total view time for all of customers, and it's 18 million hours watched through our server software every day! On May 25th, the General Data Protection Regulation (GDPR) of European Union came into effect adding new requirements for companies who may work with data of users from EU. We don't send you emails very often, but from time to time we'd like to share news about our products with you. If you'd like to avoid announcement emails, you can go to Users management page in your WMSPanel account, click on editing user information and check "Exclude user email from WMSPanel announcements" checkbox. If you have any concerns or issues regarding your privacy in our products, please feel free to contact us via our helpdesk. We've also added cookies usage banner for all users who use WMSPanel website - you might have noticed it entering your account lately. It can be easily dismissed for your convenience. Nimble Advertizer now supports audio-only HLS output. This means you can serve audio ads via Icecast and audio-only HLS. You can check more about technical details in this document. Speaking of HLS, Nimble Streamer now supports fMP4 for VOD HLS for both H.264/AVC and H.265/HEVC content. It also supports ABR VOD via SMIL files. Read this article for more details. We follow up with latest updates of operating systems and create new packages for Nimble Streamer for supported platforms. Check out new packages of Nimble Streamer for Ubuntu 18.04 and Raspbian 9. We've made a major improvement for transcoder which now allows using shared contexts. This enhances resources usage and simplifies the fine tuning. Read this article for more details on shared contexts. Also, take a look at Troubleshooting Live Transcoder article for various cases you may face while using Live Transcoder. We've also added NVidia decoder deinterlacing mode, you can read more about it here. You may also find useful a step-by-step description for wildcard ABR scenario setup. 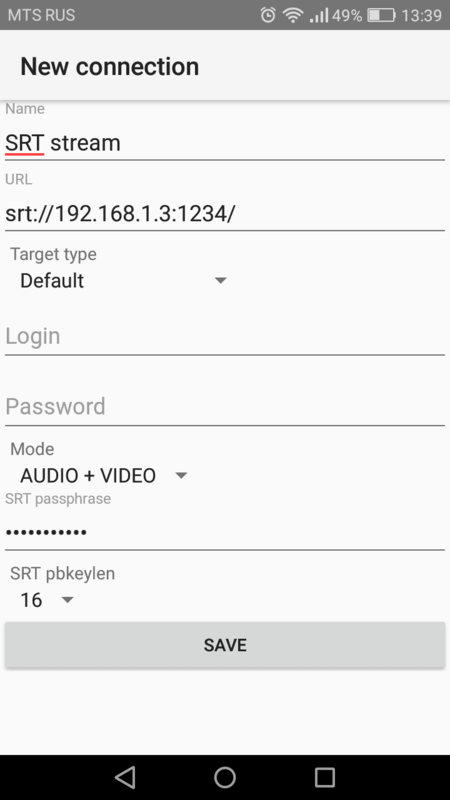 Larix mobile SDKs were updated to include new improvements as well as mobile playback solutions. It has a number of bugfixes and performance improvements. You can check SDKs release notes for all updates and use this page to subscribe for SDKs. We've added a new metric - total view time for our server products. It's nearly 1.7 billion this quarter, or 18+ million view hours per day. You can see HLS share as 67% and RTMP at 17% while progressive download went down a bit.